« Todays trip to the IoT expo 2017 was disappointing. 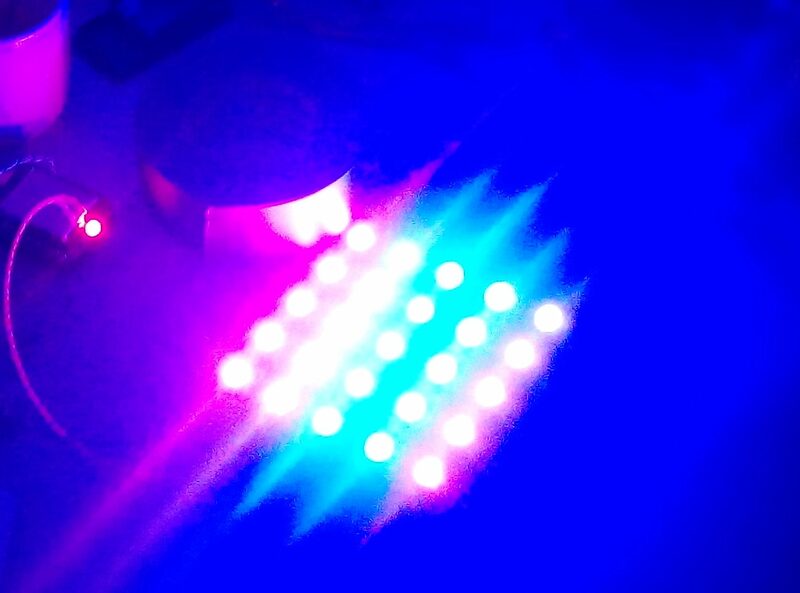 So this week I’ve been working on two LED projects, one of them is more just a thing I want to do for some pub gigs and that and the other might develop into a sellable product. Recycling some old tape into LED panels for lighting bands and stuff at pub gigs, in my workshop for making videos and maybe on gigs ect. It’s a somewhat limited design but, small panels with upcycled LED tape stuck to them, controlled by some LED drivers that I’ve had lying about for some time now doing nothing. After an hour of fiddling, I proved the concept for my needs and I will now order some connectors to make 6 panels for further experimenting. 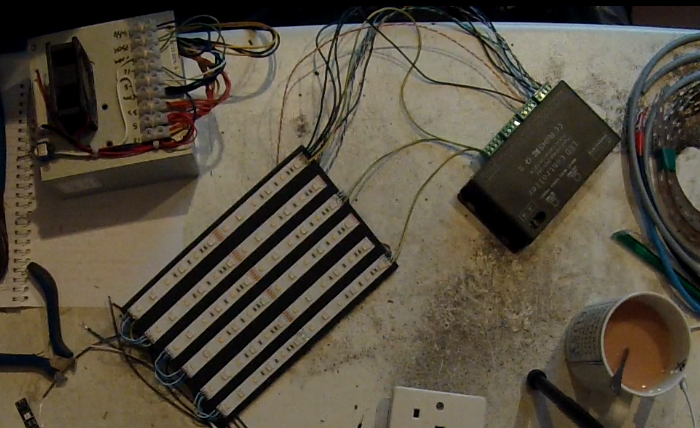 So it’s a 5 by 5 PixelPanel, using some recycled ws2801+5050 LED’s, and my idea is to make these panels controlled by Artnet and use PoE to power them. Still very prototype at the moment! Sorry for the crap photo.